You’ve created your perfect shower. It has three separate shower units each delivering a different flow of water from a different direction. Maybe a top mounted shower head, a wall-mounted waterfall, and a very useful detachable hand shower. Luxury and function cleverly combined for maximum pleasure and performance. 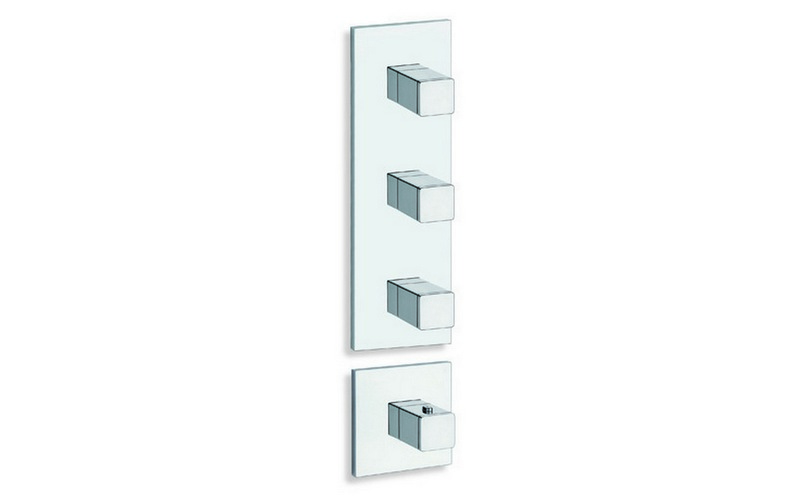 Aquatica’s three in one shower controller puts all the controls in one unit. 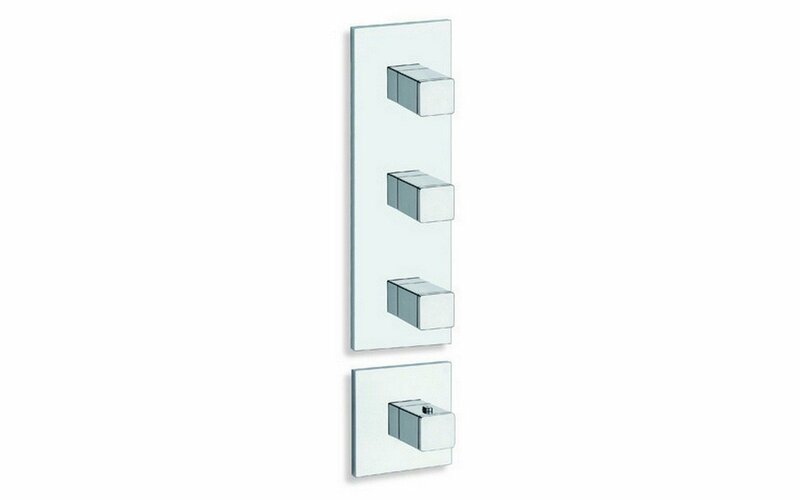 A stylish chrome finished wall mounted controller that allows you to operate your three separate shower heads from the one place, with the ability to selected individual volume rates. The fourth control is your temperature control – rotate to select your desired temperature for all the units in your shower at once.